Barcelona welcomes Efes for the first of two games at Palau Blaugrana after stealing home-court advantage in the series with a thrilling Game 2 victory in Istanbul on Friday. A victory would bring Barcelona closer to something it has never done before – win a EuroLeague playoff series without home-court advantage. On the other hand, Efes has not won in Barcelona since 2011, but a win in this game would bring it with a victory of its first playoff series win this century. Efes never trailed in Game 1, beating Barcelona 75-68 as Vasilije Micic starred with 21 points on 4-of-5 three-point shooting plus 7 assists. Barcelona hung close the entire night and came within 5 points in the finals minutes, but Efes held on for the win. Barcelona leveled the series by snatching a 72-74 victory in Game 2. An incredibly tight and tense playoffs battle was decided by Adam Hanga's driving lay-up with 28 seconds remaining. Hanga led Barcelona with 17 and received support from Ante Tomic with 13 points. Efes playmaker Shane Larkin led all scorers with 18 points. 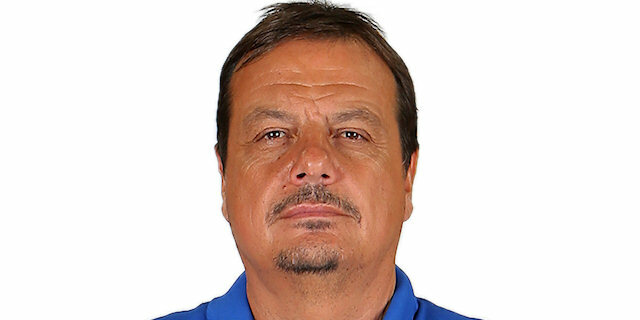 Coach Ataman has shortened his rotation in the playoffs. That has led to big men Adrien Moerman and Bryant Dunston rarely leaving the floor; as Moerman played the entire 40 minutes in Game 2. As much for Moerman's versatility, the duo will need to establish an inside presence against Barcelona's deep front line that features veterans Ante Tomic, Chris Singleton and Victor Claver. Their paint protection and understanding of the game forces teams to shoot from the outside, not allowing them to establish offensive balance. It's no secret that Barcelona'ss success relies on its defense and Coach Svetislav Pesic's men succeeded in doing that so far, holding high-scoring Efes team to 73.5 points through two games. Now, Barcelona will need to keep it up at home, where it already allows a EuroLeague-low 71.7 points. The key will be to make Efes play five-on-five basketball and continue the control of the boards that Barcelona has maintained for the majority of this series so far. Efes has been scoring 12 points fewer in this series than it did during the course of the regular season and has also shot just 34.4% from long range in the first two games of this series after connecting on 40.7% of three-point shots before the playoffs. Krunoslav Simon and Adrien Moerman will need to get those percentages up, while Rodrigue Beaubois has not even attempted a three-point shot in this series. Game 3 would be a perfect place for them to restore their form from the regular season. "The first two games against Barcelona Lassa were balanced games. Now it’s 1-1 and both two teams know each other very well. The games are very tough. Offensively, we must play in high tempo and defensively we must protect the rim better." "It will be a challenge. But it is nothing that we have not done before. We will just have to fight and do our best to win." · Barcelona holds a 10-6 record in games between these teams this century. Efes beat Barcelona 75-68 in Game 1 with Vasilije Micic starring with a playoff career-high 21 points on 4-of-5 three-point shooting plus 7 assists. His career-high PIR of 30 earned him MVP of the Round honors. · Barcelona pulled out a 72-74 victory in Game 2 of the series with Adam Hanga posting 17 points. · These two teams split home wins this regular season. Barcelona registered an 80-65 victory in Round 15 as Pierre Oriola scored 14 points. In Round 25, Efes blasted Barcelona 92-70 behind 37 points from Shane Larkin. · Barcelona matched its club best in the EuroLeague in points and set a club record in three-point shots made with 19 when it beat Efes 83-107 in Istanbul in March of last season. · Efes recorded its team record in two-point shots made with 32 against Barcelona in October 2002. · Efes set its playoff record with 12 three-pointers in its Game 1 victory. · Efes forward Adrien Moerman played at Barcelona last season. He played under Coach Svetislav Pesic and was a teammate of most of the current Barcelona players. · Barcelona point guard Thomas Heurtel played for Efes from 2015 to 2017; he was a teammate of Dogus Balbay and Bryant Dunston during his time there. · Efes center Tibor Pleiss played at Barcelona during the 2014-15 season and was a teammate of Ante Tomic. 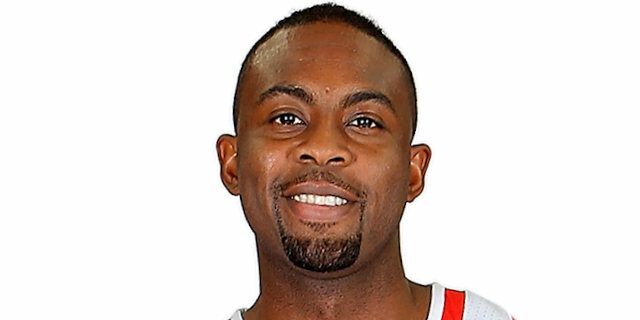 · Pleiss was a teammate of Heurtel for two seasons at Baskonia, from 2012 to 2014. Pleiss was also a teammate of Adam Hanga at Baskonia in the 2013-14 season. · Barcelona's Kevin Pangos was a teammate of Efes point guard Vasilije Micic at Zalgiris Kaunas last season. They helped the team reach the 2018 Final Four. · Vasilije Micic set a career-high in performance index rating with 30 in Game 1. · Barcelona's Jaka Blazic and Hanga were teammates with the Efes backcourt duo of Rodrigue Beaubois and Shane Larkin at Baskonia during the 2016-17 season. · Barcelona center Ante Tomic was a long-time teammate of Efes guard Krunoslav Simon, first with KK Zagreb where they both grew up, and with the Croatian national team, too. · Shane Larkin set career-highs with 37 points and PIR 43, latter of which is also Efes club record, in Round 25 win over Barcelona, Larkin earned MVP of the Round honors for that performance. · Larkin posted his career high in steals with 4 playing for KIROLBET Baskonia Vitoria-Gasteiz against Barcelona in January 2017. · Barcelona forward Adam Hanga posted his EuroLeague career high in scoring with 20 for Baskonia against Efes in February 2017. · Hanga set his career-high with 11 rebounds in Game 1. · Pierre Oriola set his career high in assists with 5 in Game 2. · Tomic set his EuroLeague career high and a Barcelona club record in index rating with 40 and pulled down a career-high 15 rebounds in Barcelona's 84-89 road win over Efes in February 2014. Tomic posted a career-high and matched a club record with 11 two-point shots made in that game, too. · Efes big man Brock Motum posted his EuroLeague career-highs in scoring (26) and index rating (26) playing for Zalgiris Kaunas against Barcelona in November 2017. · Victor Claver matched his career-high with 3 steals against Efes in November of last season. Coach Svetislav Pesic has used 11 different players as starters this season. Chris Singleton has started all but one EuroLeague game. Chris Singleton has made at least 1 three-pointer in seven consecutive EuroLeague games. Kevin Pangos has made at least 1 three-pointer in six consecutive EuroLeague games. Pau Ribas has made at least 1 three-pointer in five of his last six EuroLeague appearances. Ante Tomic has pulled down at least 5 rebounds in eight of his last nine EuroLeague games. Thomas Heurtel has collected at least 1 steal in six straight EuroLeague games. Heurtel has posted a performance index rating in five consecutive EuroLeague games. Thomas Heurtel is fifth in the league in assists this season with 4.9 per game. Adam Hanga is second in the playoffs this season with 7.5 rebounds per game. Ante Tomic ranks fourth all-time with 1,421 rebounds. Ioannis Bourousis is third with 1,603. Tomic ranks fourth all-time with 482 offensive rebounds. Paulius Jankunas is third with 499 and counting. Tomic is the only EuroLeague player with at least 1,000 two-point baskets. He has 1,054. Thomas Heurtel ranks third all-time in assists with 1,163. Dimitris Diamantidis is second with 1,255. Jaka Blazic needs 12 points to reach 1,000 for his EuroLeague career. Chris Singleton needs 5 blocks to reach 100 for his EuroLeague career. Ante Tomic needs 4 blocks to become only the 10th player with 150 blocks in the EuroLeague this century. Tomic leads all active players and is fourth all-time in career performance index rating with 401. Panathinaikos legend Dimitris Diamantidis is third with 443. No player has started every EuroLeague game for Efes this season. Adrien Moerman has started all but one. Shane Larkin has hit at least 1 three-point shot in nine straight EuroLeague games. Larkin has scored in double figures in 10 of his last 11 EuroLeague games. Bryant Dunston has blocked at least 1 shot in nine of his last 10 EuroLeague appearances. Dunston has posted a performance index rating in double figures in nine of his last 10 EuroLeague appearances. Adrien Moerman has pulled down at least 5 rebounds in 10 of his last 11 EuroLeague games. Moerman has made 10 consecutive free throws in EuroLeague action. Krunoslav Simon has posted a performance index rating in double figures in seven of his last eight EuroLeague games. Vasilije Micic has made at least 1 three-pointer in seven of his last eight EuroLeague games. Adrien Moerman is fifth in the league this season in rebounding with 6.3 per game. Bryant Dunston is third in the league this season with 1.2 blocks per game. Vasilije Micic ranks third in the league in assists this season with 5.5 per game. Micic leads the playoffs with 18.0 points per game and is tied for second with 5.5 assists per game. Micic is second in the playoffs this season with an average PIR of 19.0. Micic is tied for second in the playoffs this season with 6 three-point shots made. Dunston leads the playoffs this season with 2.0 blocks per game. Bryant Dunston ranks second all-time with 224 blocks. He trails only Fran Vazquez (249). Dunston ranks ninth all-time with 378 career offensive rebounds. Mirsad Turkcan is eighth with 385. Tibor Pleiss ranks ninth all-time with 159 blocked shots. He needs 2 more to catch Victor Khryapa for eighth place. Brock Motum needs 3 more three-pointers to reach 100 for his EuroLeague career.